When it comes to determining the best state for green energy, Texas looks awfully good. By green, we’re talking about energy that comes from nonpolluting sources: solar, wind, hydroelectric, and geothermal. Notice that we ranked green energy generation – and not renewable energy production. They’re not the same thing. Renewable energy includes wood and biomass. Producing energy from those requires combustion, which releases carbon dioxide. As for nuclear, it doesn’t emit carbon dioxide, but nuclear plants create a significant amount of radioactive waste. To us, that doesn’t suggest green energy. Texas: Ranks first in wind energy, generating nearly three times as much as the next state. And it’s fifth in solar energy generation. But it comes in 25th in hydroelectric and produces no geothermal power. 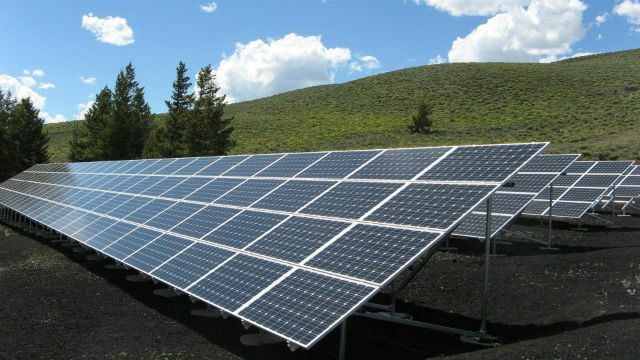 California: First in solar and geothermal energy and fourth in hydroelectric. It also is a respectable seventh in harvesting wind energy. Washington: As you might expect, the state is first in hydroelectric power by a wide margin. It’s 10th in wind generation but only 45th in solar, and, similar to 33 other states, produces no significant geothermal generation. New York: The first real surprise on the list. The state is second in hydroelectric production and a respectable 19th in solar and 17th in wind. It also gets nothing from geothermal sources. Oregon: It uses all four methods of generation. The state is third in hydroelectric generation and fifth in geothermal. It is 15th in wind and 16th in solar. The rest of the top 10 depends almost completely on wind generation. Oklahoma is second, Iowa, third; Kansas, fourth; Illinois, fifth; and North Dakota sixth in power from wind. Which are the worst states for green energy? The two smallest states – Rhode Island and Delaware – generate the least green energy. That’s not surprising, given that green energy production in general takes larger properties. Texas, No. 1 in green energy production, also is first by far among states in total energy generation. So maybe an alternative way to measure the greenest states is by considering what percentage of a state’s total power is green. So where is Texas using this metric? It comes in 21st, with 15.8 percent of the power it produces coming from green sources. Mississippi is last, with only 0.6 percent of its energy coming from green methods. The national average is 14.3 percent.